Blonde's usually not best for Soft Summers. Here, Emma Roberts' eyes are hard to see; the too-light hair makes them seem strangely dark by comparison. The skin seems uniformly opaque, not luminous. The right depth of hair color brings the whole face into balance. I see the beautiful eyes. Here, Kristen Stewart is too high-contrast; too saturated. The effect is severe. I can find it hard to tell Soft Summer and True Summer apart in pics. I believe Denise Richards is a Soft Summer. That she's a Summer of some sort I don't doubt. And looking at when she errs, it's sometimes in the direction of too cool and often in the direction of too bright. Here, there's a bit of both. Gentle gradations of subtle color enhance her beauty. Holy moly. Seriously? Absolutely incredible. If you can get past her expression, you'll notice that this warmer, more muted (but still cool) lippie is more natural for her skin, as is the warmer and more muted dress. The hair is less yellow too, and so much better for her. Another close call (to me) between True and Cool) Summer. In this pic of Carmen Electra, I'm finding the hair too light and the pink too bright and too violety. I mean, come on. Is this the same woman? The darker hair and blush pink is soooo good. The colors here are cool, but with a tan (as I think Christine Scaman may have said once). That's Soft Summer. Leona Lewis's hair here is too warm; Soft Summer can sometimes take taupe-y highlights, but nothing resembling yellow or orange. And a black top is too severe for her. What a difference small changes make! Take the highlights from warm to cool; lighten the top from black to Soft Summer's elegant charcoal; and suddenly Leona looks exactly right. Those eyes! Just lovely in Soft Summer's dusty pink shades. She looks so healthy. And we're really seeing her. When I look at this, here's what I see: Black circles around the eyes. Colorless skin. Maybe a high school girl's self-portrait in her mom's bathroom? Vaguely sad and absolutely unmemorable. Hair is too warm and light, lips are too warm, clothes are too bright and the pattern is too busy. Everything's working to hide this girl's real beauty. You can tell she's probably pretty, but you can barely imagine her true potential. Simple and stunning. A top in one of her Soft Summer colors, her hair in its natural shade, and just a bit of Soft Summer makeup let you see supermodel Adriana Lima's matchless beauty. Soft Summers, undyed hair and a $22 turtleneck in your correct season will always look better than golden highlights and a $500 leather jacket from another season. ​40 enormous color cards for just $40. Carry them in a binder, or keep them in your dressing area. ​Or cut the big sheets down into smaller sets: one for your bag, one for your dressing area. No other swatch set is this affordable or this big! No other palette offers you the chance to customize it to your own purpose. ​Each cardstock sheet is at least 4 x 8 inches. 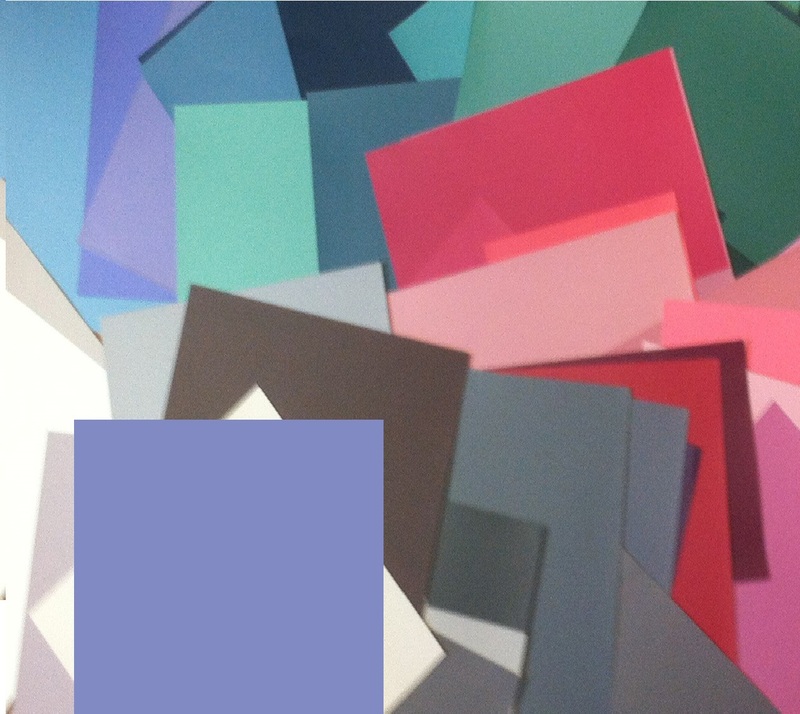 This list includes over 600 products that have been precisely matched to color-accurate Soft Summer swatchbooks. Lipstick, blush, eye shadow, eyeliner, nail polish, and even foundation suggestions are included! If you're a Soft Summer, you can use this list to buy your best makeup with confidence.